When I first became a wahm after leaving my corporate job to be with my newborn, everything was different. It felt like I had no space to put anything, I would work off my laptop at the couch, notes on the kitchen table, post-its everywhere. The clutter had taken over my house, and also my mind. The first step I took to get a handle on things, was giving myself a desk. Before we get into anything else about how to set up your desk, I have to say this: it needs to be something that speaks to you. Something that invites you in, helps you find your center, and motivates you. There is nothing worse than trying to get your work done in a space that doesn’t fit your needs, isn’t inspiring, and doesn’t motivate you. Trust me, I’ve been there. So with the following, really spend some time to find little touches you can add to make your space unique to you. Whether that’s adding a plant, creating a color scheme, adding motivational posters, etc. It’s worth it, because you’re worth it & your success is worth it! Ever feel motivated sitting down to a desk full of clutter? Didn’t thing so! While it is important to keep your work space clear, there are a few things that are actually essential to keep out where you can see them to feel motivated. Keeping a content calendar up on the wall above your desk is a great way to give yourself a visual reminder of what you have going on, your goals for the month, & what you need to be getting ready. 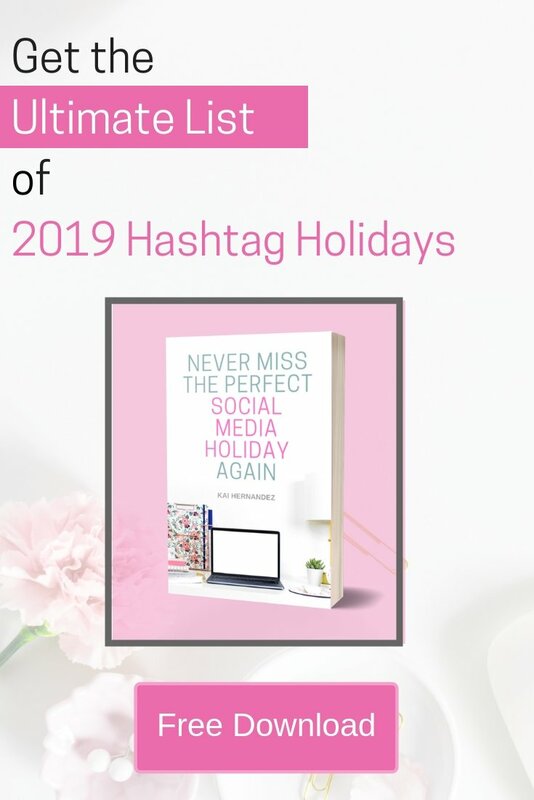 Planning out your content & social media calendars a month or two in advance definitely takes practice. But once you throw a calendar up, even if it’s just for the current month, you will start to see a big change in your ability to focus & your motivation to crush your goals. The key to being successful? Knowing what you actually need to get done to be successful. When we first sit down to work it can be so easy to get caught off guard with things that must be done now, just to feel like we are busy, when they could actually wait. Getting a planner that helps to map out your long-term biz goals, & then break them down into actionable, daily steps is a huge game changer. Stop wasting time with busy-work & start crushin’ your goals. No, I don’t mean those twenty-thousand post-its you have or those pages of notes you took from the latest webinar, we’ll get to those later. I am talking about blank spaces for you to quickly get things out of your mind. Why is this important enough to take up valuable work-space? Because it will actually give you brain-space! The second a thought breaks your focus, get it out of your mind & in to a place your brain trusts. Then, get back to crushin’ your goals! If it is just a quick little reminder, throw it on a post-it. If you are writing more than a sentence, a post-it is not the place. That’s how you’ll end up with a house covered in post-its & zero clue what half of them mean. If you have something that pops into your head, like a to-do list, an idea, a new direction, or product idea, take out a Brain Dump page, & get it all out of your head. Using this method, you can keep your mind clutter-free & focused on your goals. Now that’s we know what to keep in-sight, it’s time to make space to actually work, & remove all other distractions. 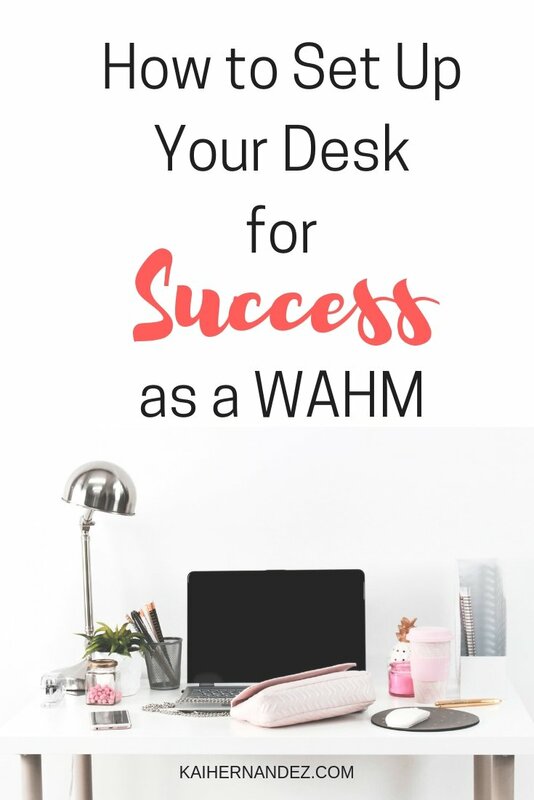 One of the best things you can do for your desk (because I know keeping a desk completely cleared off isn’t always practical) is to get something to visually separate the space you actively use while working, and the space you use to store items. My favorite way to do this is by using a desk pad. They aren’t so large as to take up the entire desk, but they do give you enough space to keep a laptop, mouse, and a few pages you are currently working on. At the end of the day, it’s just a matter of clearing off that desk pad so you can start fresh tomorrow. I don’t mean to have every little thing off your desk. We both know, that just ain’t gonna happen. I mean, having it all organized in a way that brings clarity & peace to your mind. All those loose papers? Sort them by subject (including a pile to toss!) and file them away or throw them in a binder with some dividers to keep them easily accessible. 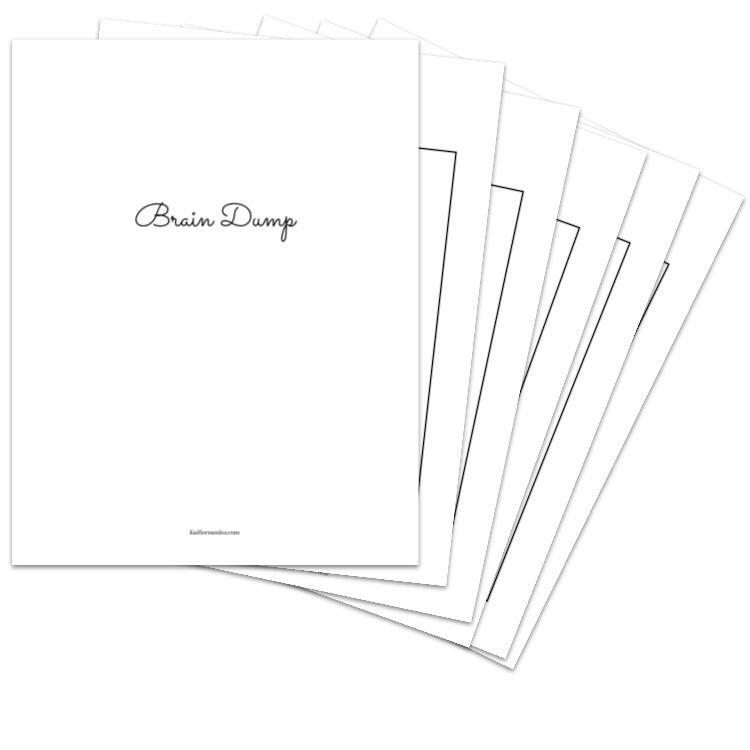 Those Brain Dump pages you have on your desk ready to use? Toss them into a letter sorter along with any other pages you need to keep your focus. Those great ideas for your biz & your Brain Dump pages? Get them organized in a binder with dividers and off of your desk. Those receipts, papers, & records you may need one day? Toss them into some folders & box ’em up! How do you set your desk up for success? Thanks Sarah! It’s crazy how even just clearing the papers off my desk when I’m feeling overwhelmed makes such a difference to my productivity.